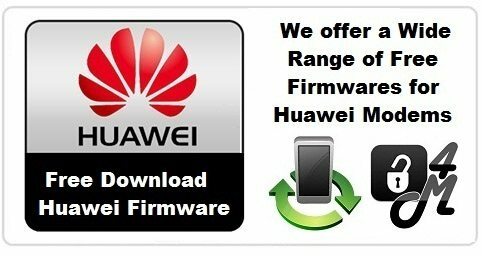 Huawei has launched different versions of mobile partners time to time. 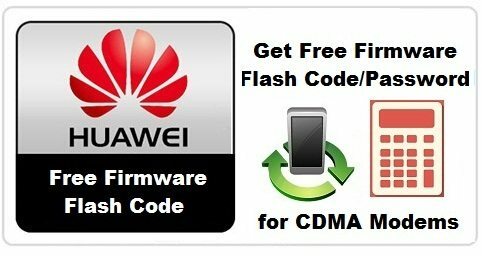 We want to introduce you with Mobile Partner 23.001.07.22.910 s its a program that can be used to connect to the Internet with any modem Huawei (old & new) algorithm, the connection software is compatible with all Windows operating systems XP / Vista / 7/8/10 , Mac OS X and Linux (Ubuntu). 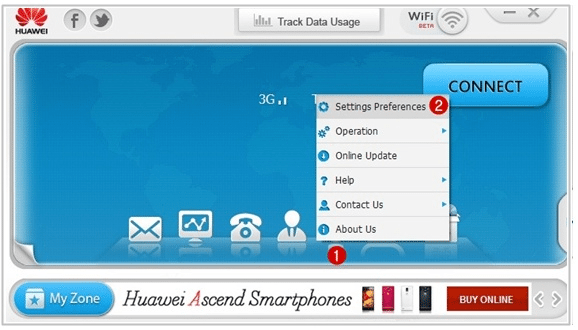 Mobile Partner v.23.001.07.22.910 which is Developed by Huawei Technologies Co., Ltd. offers many advantages and features. In this version the ergonomics of the application has been redesigned to offer users a more dynamic interface. 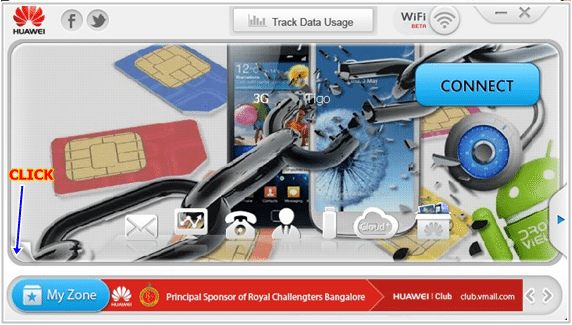 After you download and install Mobile Partner v.23.001.07.22.910, you can access and make WiFi Hotspot in your computer, run Mobile Partner to access this interface. 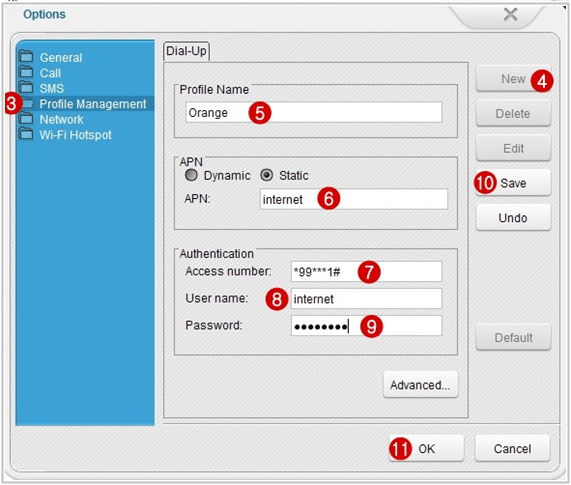 To connect to the Internet you must configure the connection manager Mobile Partner, click Settings (1) -> Settings Preferences (2) to access the options panel. 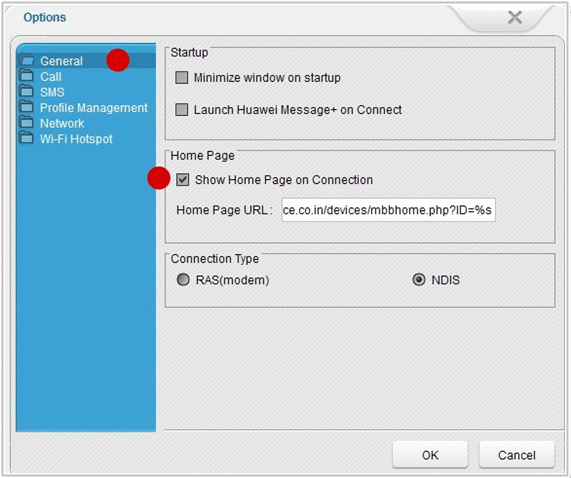 Click on ” Profile Management ” (3) – ” New ” (4) Then enter the name of your service in ” Profile Name .” (5) Options for the name of the access point and authentication are variables for each operator, request this information from your operator or do an internet search. ” NPC ” (6), enter the name of the network access point for your carrier. ” access Number ” (7), enter * 99 **** 1 # or * 99 # . for most operators ‘ Username ‘ (8) and ” Password ” (9) can be left blank or filled in. 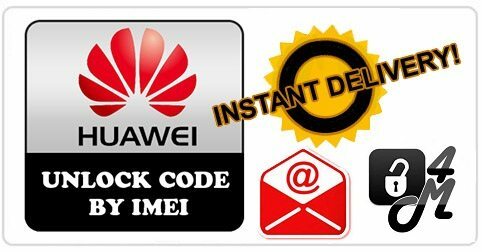 Click ” Save ” (10) -> ” OK” (11) to return at the interface of Huawei Mobile Partner dashboard. Click ” Connect ” to establish the internet connection then on Disconnect “to stop your session. 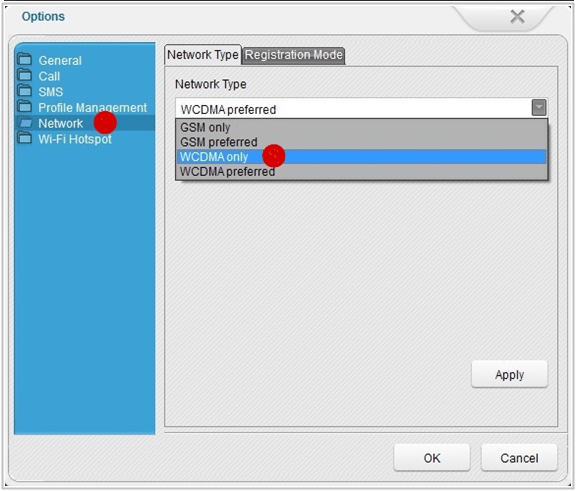 2- The type of signal depends on your network coverage and to enjoy a quality broadband internet connection, it is important that WCDMA Only is selected in the network parameters. You can use Mobile Partner v23.001.07.22.910 to share your Internet connection with multiple computers or equipped with a Wi-Fi device unit. The connection software also allows you to send and receive SMS from your computer.